Made using tough, durable, nylon TPU film laminate, the Expedition ensures that hydration is a priority on your next long hike or camping trip. Hydrapak's largest offering to date features a wide-mouth cap for pouring and filling, along with a keg-like dispensing tap for filling up smaller individual containers, especially given that the design allows the bag to stand on its own when full. When it's all tapped out, the bag flattens and rolls up neatly for no-hassle storage. 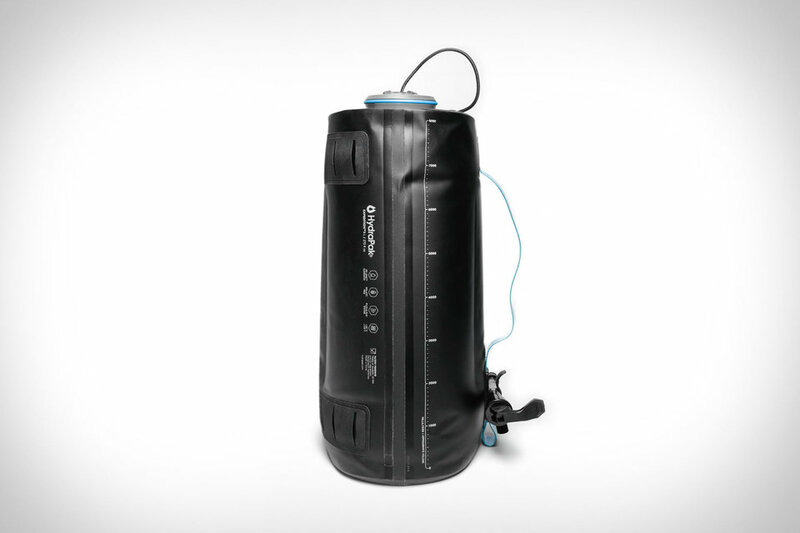 100% BPA & PVC free, it holds up to 270 fluid ounces and includes an external capacity gauge so you can track your hydration intake or measure contents.